Today we’d like to introduce you to Miguel Cervantes. Miguel, can you briefly walk us through your story – how you started and how you got to where you are today. 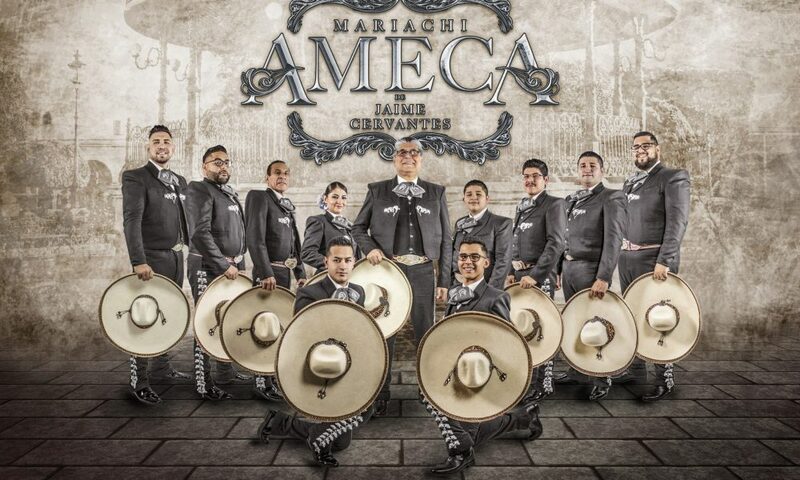 Mariachi Ameca was founded by my father, Jaime Cervantes, in the mid 1980’s. Mariachi music is a family tradition for us. It is a part of who we are. We have relatives that perform with some of the elite mariachi groups in Mexico. I am a third generation mariachi musician and I was the first of my siblings to join the band. I fell in love with music at a very young age. My father tells me of the times that I would spend my naps right by where he rehearsed with his band. I looked up to all of the members in the band and I always wanted to be around the music. My first gig ever was at Six Flags Great America in Gurnee, IL. Our band played there for about 10 years. I was very nervous at first, but after sometime performing, it became second nature to me. I enjoyed performing for our clients. I began to realize that hiring a mariachi is not cheap and I wanted to offer our clients something more. I slowly began to take charge of the group. My first step was to put our band out on the World Wide Web. I had no knowledge on website building, but I tried to make ours as interesting as possible. I bought a pretty good quality camera and a green screen to take pictures of our band. I also bought recording equipment so that we could put up some audio recordings for our clients to listen to. I soon realized that I was trying to modernize our group and had to make even more changes in our group. I had to bring in new members that were of this generation and could better understand my ideas. Our group is a mixture of two generations. This is a benefit for us because we can entertain different generations of mariachi music lovers. Working with family can be difficult. Our violin section is basically all family. As the music director, it is easier for me to lecture my family members on improvement and discipline. This sometimes causes tension in the group. I have considered leaving the group in the past and I almost did a few times. There was a time when we had no gigs. We lost most of our members and we had to take in members that were not always on the same page with us. Some were not at the level that we needed them to be musically and did not show a care for improvement. We strive to not only sound good, but also look and act professional so that when the public looks at our band they can see that we care about what we represent. This is another reason why we decided to make a change and bring in new members that were able to meet the standards that we have for the group. Our website did wonders for us. People started calling again and we were back in the game. We have recently started fresh and we are excited to see where the future takes us. Please tell us about Mariachi Ameca. We provide traditional mariachi music for all types of events. We have also made appearances in movies and television. Members of our band also participate in professional audio recordings and teach in mariachi programs in the Chicago area. One thing that sets us apart from other bands is all of the various talent that our band possesses. For example, Jesus Ramos, singer and guitarist of Mariachi Ameca, began his singing career with jazz music. This allows our group to add a few Frank Sinatra and Dean Martin songs to our playlist without us sounding like we are trying to imitate a jazz band, but rather a fusion of the two. We like to remind our clients that we are still a traditional mariachi band, but we are open to playing a few English tunes. We also have a female vocalist, Rocio Cervantes, which for many of our clients is a must. Our trumpet players have that authentic mariachi sound, but can also adapt to many other styles as well. I am currently pursuing a Bachelor’s degree in Music Education at VanderCook College of Music. The techniques that I learn at VanderCook, I apply it to our band in rehearsals and performance so that we can be pleasing to the ear and eye. Our voices and playing style I believe is unique from any other band in Chicago. I am most proud of how we keep improving and we invite everyone to keep up with all of the new projects we are and will continue to work on in the future through our website and social media. I feel that every obstacle that we have faced has led us to where we are today. I am pretty happy with where we are and I do not think that I would have done anything differently.